A seasonal model from the 1990s. 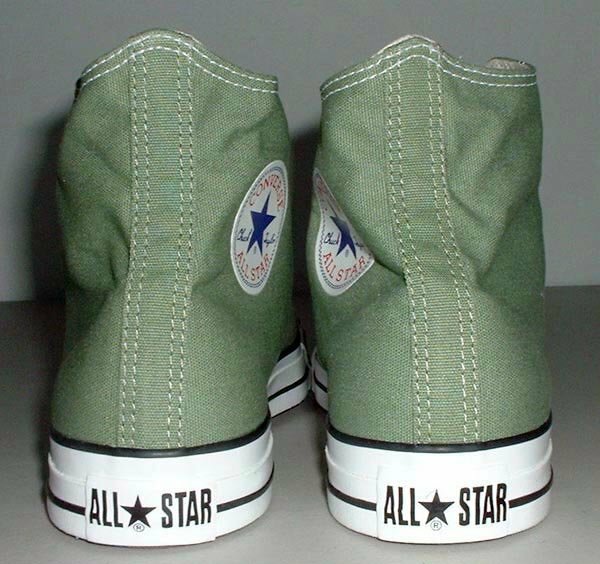 1 Oil Green HIgh Top Chucks Catalogue photo of a right oil green high top, angled inside patch view. 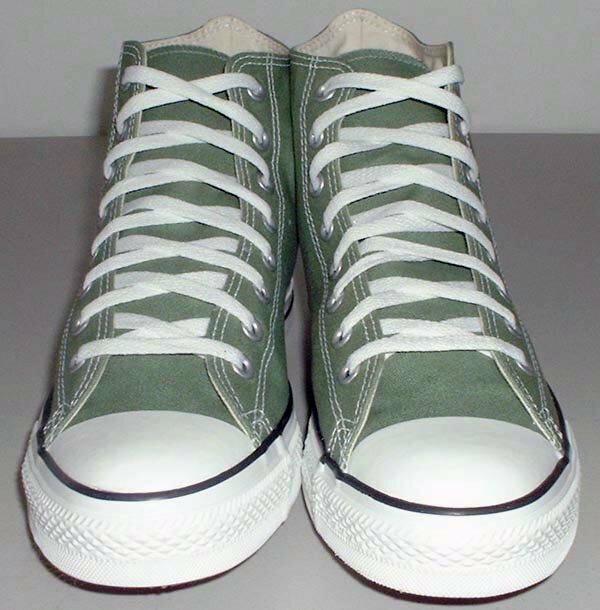 2 Oil Green HIgh Top Chucks Oil green high tops, front view. 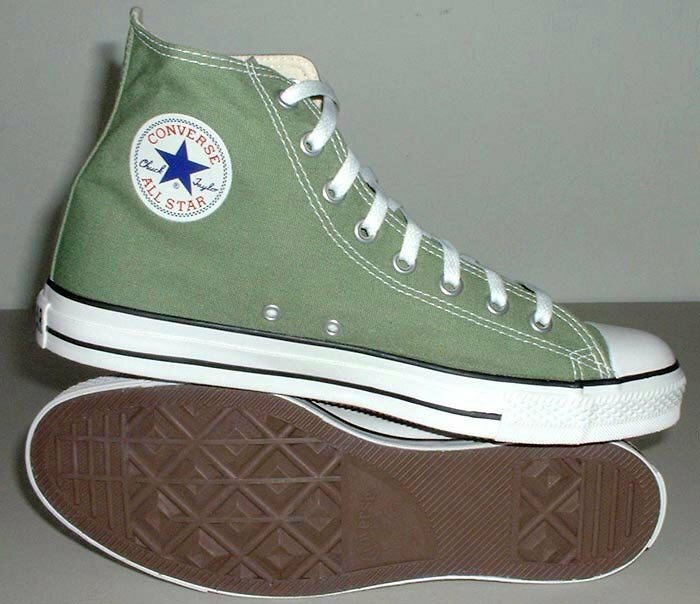 3 Oil Green HIgh Top Chucks Oil green high top, right inside patch view. 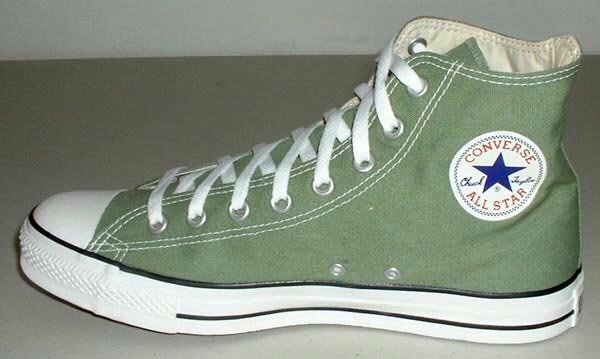 4 Oil Green HIgh Top Chucks Oil green high tops, left inside patch and sole views. 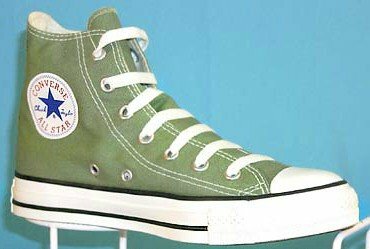 5 Oil Green HIgh Top Chucks Oil green high tops, rear view. 6 Oil Green HIgh Top Chucks Angled side view of a left oil green high top chuck. 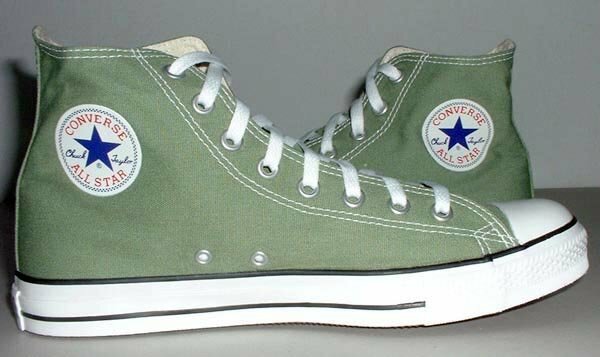 7 Oil Green HIgh Top Chucks Oil green high tops, inside patch views. 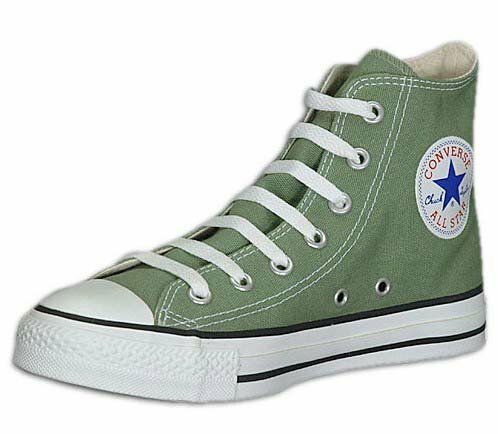 These high tops are green canvas with black trim and white outer wrap and front toe guard. Oil green refers to the color of some mechanical oil. There is also black piping and a standard black and white heel patch. The shoes come with white laces.